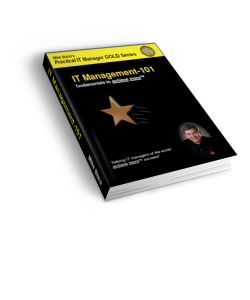 FREE e-Book – IT Management-101: fundamentals to achieve more™ when you sign up for my free Practical IT Manager Newsletter. 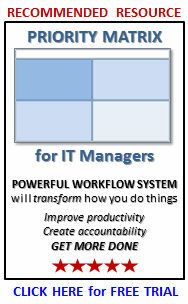 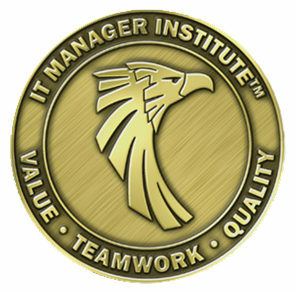 IT Management-101 is a great start to invest in yourself to make a positive difference in your IT manager role. 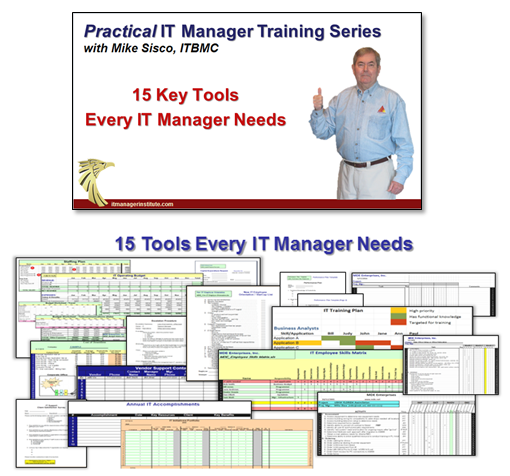 Key fundamentals are discussed along with free tools and templates to help you manage your IT organization better. 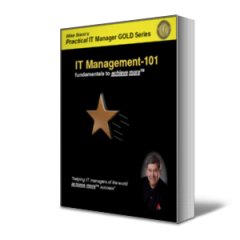 Learn about the “11 Key Traits of IT Manager Success” and the “Triple Threat to IT Success” plus many more insights guaranteed to help you become a stronger, more capable IT manager.